ROCKVILLE – There is hope for a better future for a Washington County icon. Rockville Mayor Pam Leach sent a letter to “Rockvilleans and friends” recently, asking them for their support to help secure funding for Rockville’s grant match to rehabilitate the Rockville Bridge. There is still time for anyone who would like to send a personal statement, photo or drawing to be presented to the Utah State Legislature. 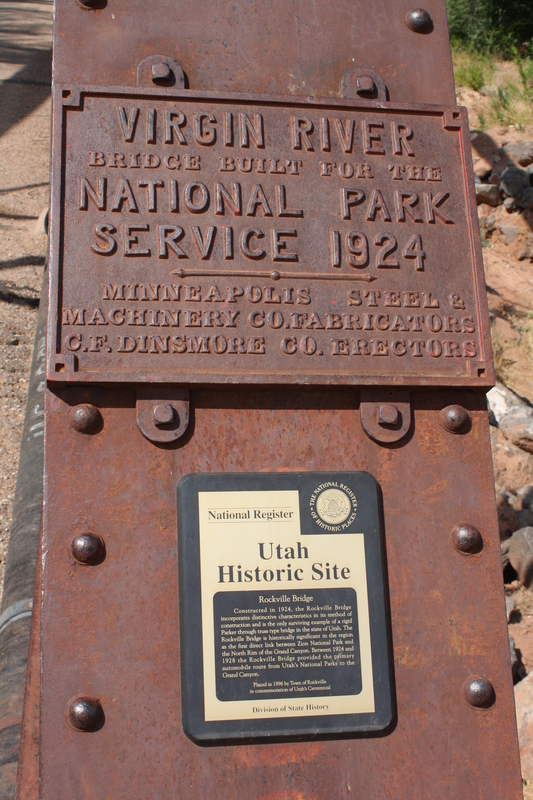 Send submissions to Kirk Huffaker, kirk@preservationutah.org. The deadline ​for submission​s is 5​ ​p.m. Friday. Leach requested personal statements, photos, even drawings by children and adults to submit to the legislature to communicate the importance and significance the bridge is to the town. ​In addition to the statements Leach has requested, the town has received numerous letters of support from Zion National Park, Grafton Heritage Partnership Project, the Town of Springdale, Zion Canyon Arts and Humanities Council, Washington County Historical Society, Preservation Utah and many others. Leach explained in the letter that the town recently submitted a request to the Utah State Legislature for a $100,000 appropriation. “This is the amount necessary to meet the Federal grant match requirement of $169,250 to restore Rockville’s Bridge,” Leach said in the letter, noting that the town has already raised $70,000 in private funds through a variety of sources. In April 2016, the Town of Rockville was awarded a $2.5 million grant to restore the historic bridge and a 6.77 percent grant match which Leach explained would help bring the project to fruition. 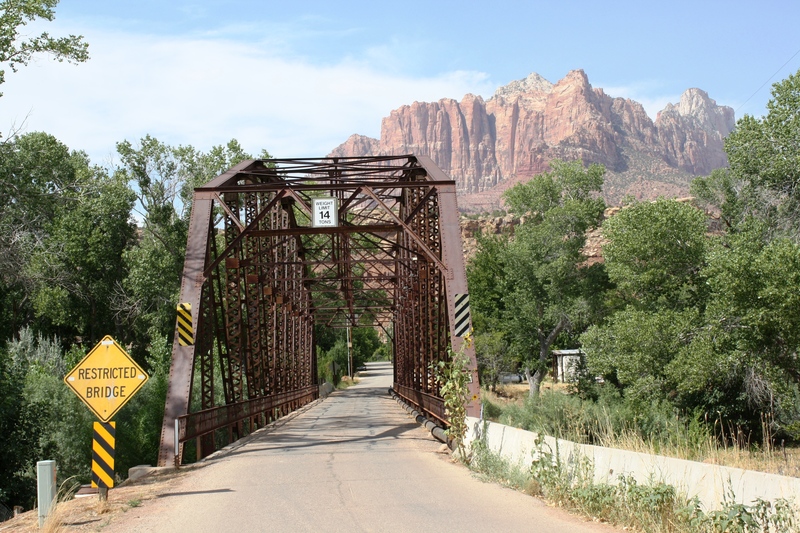 The 217-foot bridge across the Virgin River was built in 1924 to meet the needs of the Utah Parks Company, one of the rare times the National Park Service extended outside its boundaries, to facilitate travel from Zion to the North Rim of the Grand Canyon. The new route would pass by Hurricane and shorten the route by 33 miles, which was a crucial benefit to the Utah Parks Company and its buses that took tourists to the two national parks. First NPS director Stephen Mather even donated $5,000 of his own money to build the bridge. In the late 1920s, the Rockville Bridge was an essential link in a concentrated network of national parks. In 1926, daily bus service transported tourists over the Rockville Bridge in a loop tour from Zion National Park south to the Grand Canyon and then north again to Bryce Canyon. In 2003, the 93-year-old bridge’s future was put in jeopardy when its weight capacity was downgraded from the original 25 tons to 14 tons. Options for the bridge included bridge replacement, the building of an additional bridge or bridge rehabilitation. When the community did a survey of residents to see what direction it should go with the bridge, 74 percent of Rockville’s residents favored the option of rehabilitation, Hartless said, and the town leadership listened. 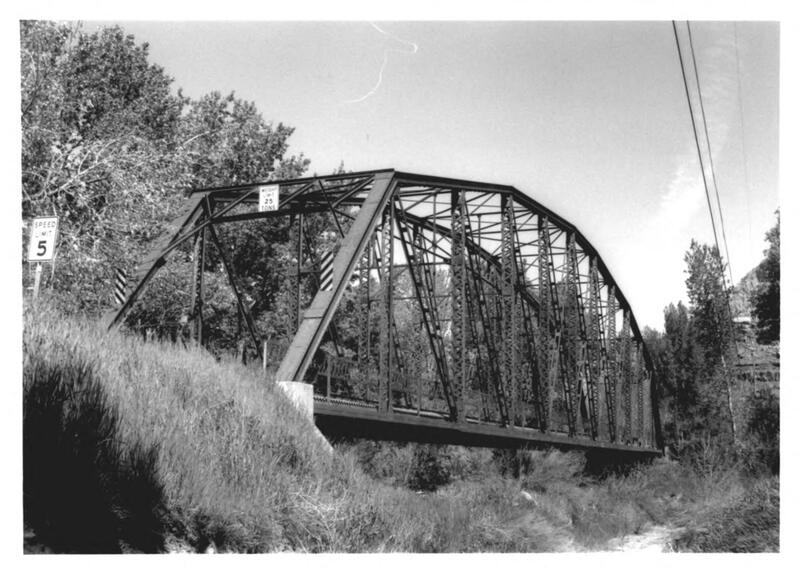 Besides its historical significance, the bridge also plays a significant role today as the connector from Rockville’s Main Street to the ghost town of Grafton as well as to Gooseberry Mesa, Smithsonian Butte and state Route 59. 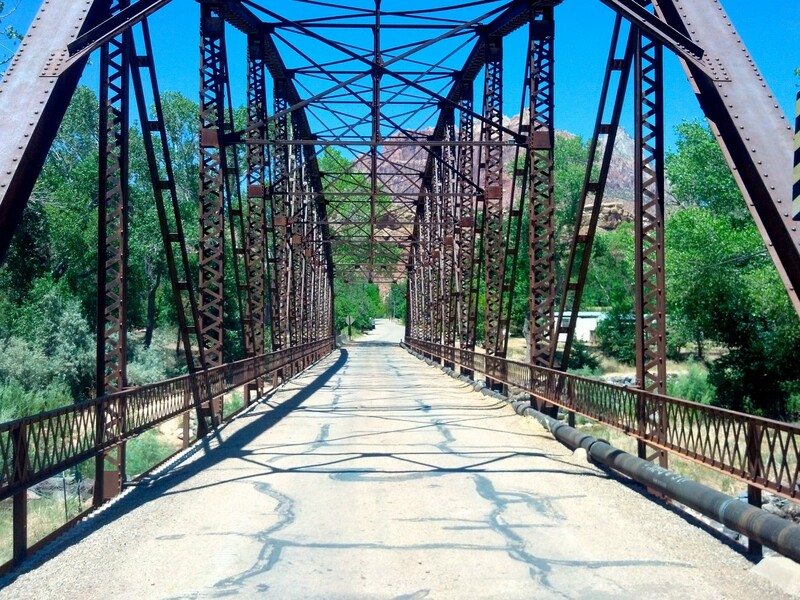 The fundraising committee has done a variety of things to put the financial resources in place to save the bridge, including organizing volunteers for events such as the Zion Half Marathon and upcoming Plein Air Invitational, April 27-29. Those event organizers have given a portion of the proceeds towards the bridge rehabilitation for the committee’s efforts. The committee has also received several grants, including one from the National Trust for Historic Preservation, the Eccles Fund for Utah, and the Simmons Family Foundation. It has also earned money from change jars placed throughout Springdale, organized a rubber ducky race, held a benefit auction, organized a community art show, and sold T-shirts, hats and mugs at various events. The committee is planning similar fundraising opportunities in the future, Hartless said. The deadline for raising the grant match is Oct. 2017. The town hopes restoration of the bridge will begin during the winter of 2017-2018, Hartless said, explaining that the rehabilitation will add a minimum of 30 years to the bridge’s lifespan, retaining its place on the National Registry of Historic Places. Interested Washington County residents can help by making a donation to the Town of Rockville Bridge Fund. All donations to a municipality for public works are tax deductible. For more information, visit http://rockvilleutah.org/bridge.